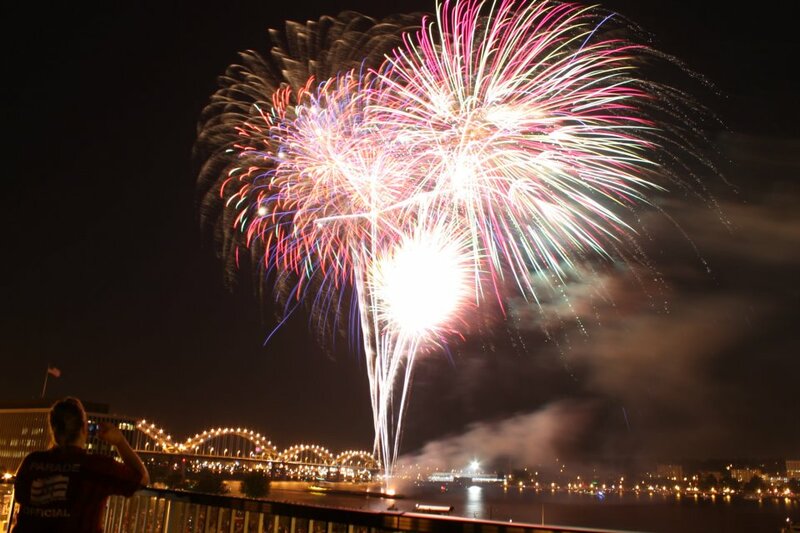 Fireworks displays are among many long standing summer traditions enjoyed year after year all across the country. Unfortunately, many people are also injured year after year while setting off fireworks. The Consumer Product Safety Commission reported over 8,600 emergency room visits in 2010 due to firework related injuries. 40% of estimated injuries occur in children under the age of 15. Lighting fireworks at home is illegal in many states. In Iowa, state law limits personal use of many fireworks. Visit the Iowa Department of Public Safety for the most up to date information regarding firework laws. It is important to remember that even legal firework displays are not completely safe and can cause injury. Whether you are watching or participating in lighting fireworks it is important to proceed with caution. Follow these tips to make your experience as safe as possible. Never set off fireworks while under the influence of alcohol. Always use fireworks outside and have a bucket of water or hose nearby in case of accidents. Never re-ignite a dud-firework — soak firework in bucket of water before discarding. Never carry fireworks in your pocket — the friction could set them off. Never throw fireworks or point fireworks at someone. Soak fireworks in a bucket of water before throwing them in the trash. Parents should pay special attention to children using sparklers. Sparklers reach temperatures up to 1800 degrees F. Children should not touch the lit portion of sparklers, throw them, or play games with them.